Free Shipping Included! AGKupel Bluetooth Headset V4.0, Wireless Earbud Headset with Microphone, 8-Hrs Talking Time Cell Phone Bluetooth Earpiece, Car Bluetooth Headphones for Business Office Driving iPhone Samsung Android by AGKupel at FloType. MPN: AGKupel-GR-01. Hurry! Limited time offer. Offer valid only while supplies last. ⒶProfessional Business Style -- With delicate skin-friendly rubber coating and stylish design, AGKupel Bluetooth Headset bring you professional business experience. ⒷComfortable Wearing Design -- 180°adjustable earbud fits perfectly for your left or right ear, bringing you brand-new wearing experience. You can adjust the angle of earbud to fit your ears better.Ultra light weight(0.38 oz) does not cause any burden to your ears, thus providing lasting wearing comfort. ⒸConnect Two Devices Simultaneously -- Allow two Bluetooth smartphones to connect at the same time. Even if you have two mobile phones, you will never miss a call any more. ⒹLong-lasting Battery Life -- The built-in lithium-ion battery provides up to 260 hours for stand-by and up to an amazing 6-8 hours for music or continuous talk. It only takes 1.5 hours to get fully charged and then keep you connected socially and musically. 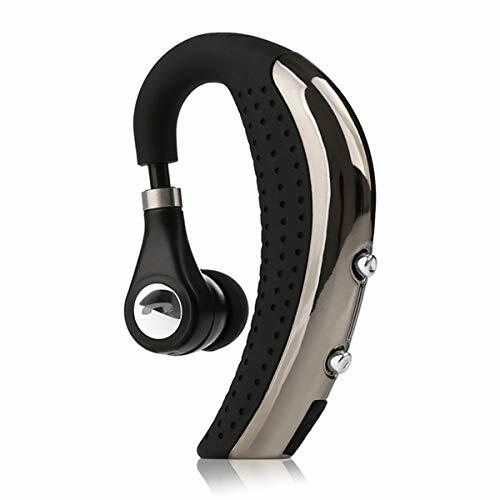 ⒺSuperior Stereo Sound Quality -- AGKupel Bluetooth Headset support mute function during calls as well. Promote sound clarity by enhanced echo cancellation and noise suppression. You can easily handle calls via the multifunctional button on the Bluetooth Earphones. If you have any questions about this product by AGKupel, contact us by completing and submitting the form below. If you are looking for a specif part number, please include it with your message.